Stressed-out Moms: Involved - Or Too Involved? Roni Cohen-Sandler is a clinical psychologist in private practice specializing in parenting; the issues of women and adolescent girls; mother-daughter relationships; and neuropsychological assessments (e.g., for learning difficulties, attention disorders, etc.). She speaks across the country as a guest lecturer, panel moderator, and workshop presenter for private and public middle schools and high schools, community organizations, hospitals, and universities, including Harvard, Duke, New York University, University of Chicago, and Northwestern. Dr. Cohen-Sandler also consults to television (e.g., Discovery Health and WE-TV). Cohen-Sandler’s first book, I’m Not Mad, I Just Hate You! A New Understanding of Mother-Daughter Conflict was a national best-seller published also in Australia, New Zealand, China, Greece, Poland, and Japan. Her second book, Trust Me, Mom—Everyone Else is Going! won a 2002 National Parenting Publication Award gold medal and was recently published in Portugal. 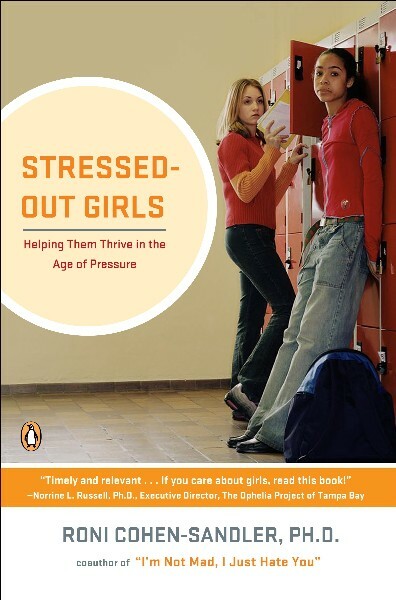 Her most recent book, Stressed-out Girls: Helping Them Thrive in the Age of Pressure, is based on a national study of 3000 middle school and high school students and describes the pressures girls today are experiencing in their efforts to be successful—as well as what parents and educators can do to help them. Cohen-Sandler is a frequent guest on national radio and television, including Oprah, the Today Show, Good Morning America, the Early Show, and NPR. Her expert opinion has appeared in Newsweek, the New York Times, USA Today, the Chicago Tribune, the Boston Globe, USA Weekend magazine, Marie Claire, Better Homes and Gardens, Seventeen, YM, Parenting, Teen People, Family Circle, Teen Vogue, Redbook, Glamour, and numerous other publications. 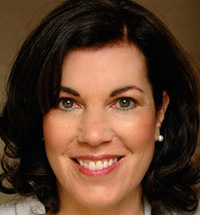 She is a contributing editor to Girls’ Life magazine, writes a parenting column for Weston Magazine, serves as a Parenting Expert for ClubMom.com, and recently was appointed to Hadassah’s National Women’s Health Advisory Council. Cohen-Sandler is married, with a grown daughter and a son in their twenties.